Well, I’m going to go out on a limb here and call this one of the best Panic’s so far. Had some great fun with this. I love the weekend because I get to spend more than 45 minutes on the illustrations! In the year 2011, all domesticated animals have become extinct but thanks to technology, little Susie won’t miss out on cuddling up to her favourite kitty. 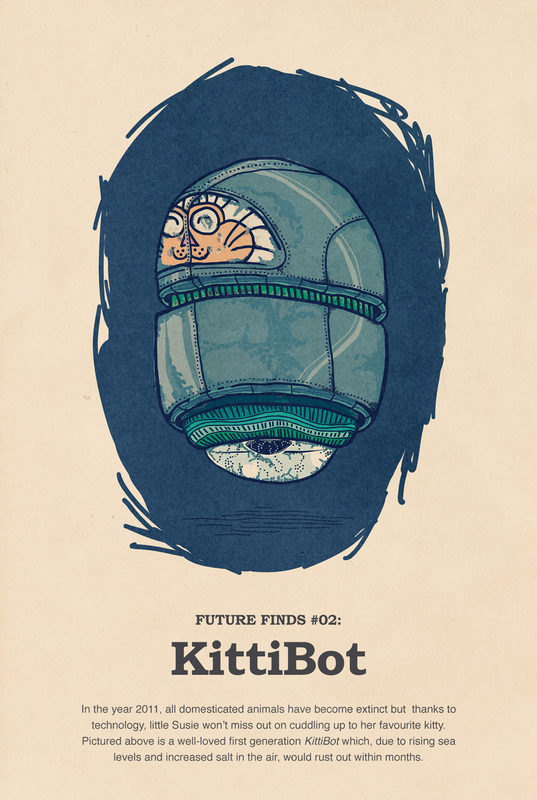 Pictured above is a well-loved first generation KittiBot which, due to rising sea levels and increased salt in the air, would rust out within months.